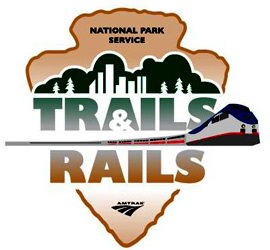 Did you know that Amtrak trains travel to and through America’s National Parks? That’s right! Not only do we have stations in two of the most beautiful national parks, but we also travel through them! Imagine scenic, peaceful green views from the comfort of our Observation Car. Yep, we have a station here: Glacier National Park. Step off the train, stretch out your legs, breathe in the clean, crisp air and enjoy these National Parks within 100 miles of an Amtrak Station.